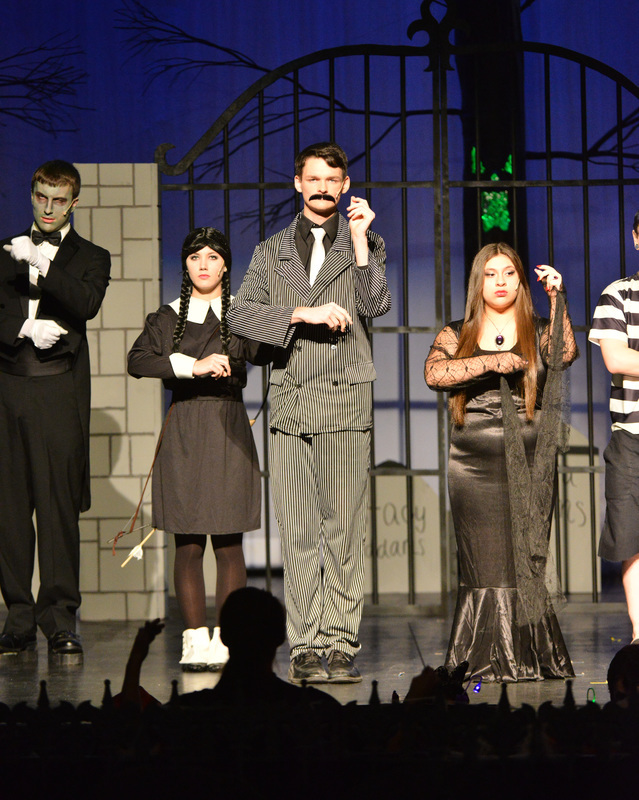 The Addams Family was an absolute joy to produce and perform. Students started in rehearsals from the beginning of September, learning lines, choreography, and their music. Set crew built rotating sets that could slide across our stage with ease, along with creepy trees that came alive with the help of some lighting. We once again brought our pit orchestra back for some eerie live music, and both the costume and hair & makeup department helped transform our characters into the lovable icons we think of today.